with KO-KISSAKI, and KANMURI-OTOSHI TANTO. KO-ITAME HADA with KO-MOKUME mixed. There is JI-NIE and CHIKEI. KO-CHOJI BA. Some are KO-GUNOME-MIDARE with TOGARI. "Pig's Head" radical that straps of the KANE bundle. top-left, with two more strokes. KANEKIYO OEI (f: KANEYUKI, t: KANENORI(1): SEIZAEMON. Buddhist name: HOMYO GENSUKE. Note: His KIYO character is reversed. WAZAMONO rated. KANESHIGE OEI (f: KANENORI, grf: KANETOMO): SHIGE form: HO "wrap". NAOE JU. KANESHIGE(1) CHO-KYO (f: "HO" KANESHIGE): SHIGE form: MO "Luxuriant". KO-NIE DEKI GUNOME shows TOGARI on a gently undulating, KO-NOTARE line. KANEMASA(1) SHO-CHO 1428 (f: ROKUROJIRO, grf: SANAMI KANENORI): MATAJIRO. KANEMASA smith line has NAOE roots. SANAMI of SHO-CHO 1428 to BUN-MEI. KO-ITAME HADA. KO-NIE DEKI KO-GUNONE-CHOJI KO-MIADRE BA. KANEMASA(2) of BUN-MEI moves to HACHIYA. KANECHIKA KA-KICHI (f: KANEMASA): SEKI JU. KO-ITAMA HADA. GUNOME-MIDARE BA. Descendents in MEI-O 1492, EI-SHO 1504, TEN-MON 1532. WAZAMONO. from NARA School, line falling under KYUA. See NARA. HADA rhat runs of MASAME. SUGU KO-MIDARE BA with KO-ASHI IRI. KANETSUNA TEN-MON (f: KANETAKA): ITAME HADA with MASAME with SHIRAKE-UTSURI. KANEHARU CHO-ROKU 1457 (f: KANEYUKI): SHIROBE. Into the BUN-MEI. SANAMI. SUGUHA, NOTARE of GUNOME-MIDARE BA. O-WAZAMONO. KANEHARU KO-JI: Late TEN-MON to EI-ROKU 1558. many TANTO, long swords, few. O-ITAME HADA that runs with MASAME. Some KO-ITAME. GUNOME-MIDARE BA and HAKO-MIDARE BA. MIKAWA/SENGO style. KANENORI (4) BUN-MEI: SANAMI Group in SEKI. He leaves for IZUMI. KANENORI(5) EI-SHO 1504: SANAMI Group, making swords in KANENORI style. IRI. KOSHI-HIRAKI GUNOME-CHOJI MIDARE BA with YO. SUGU KOMARU BOSHI. Signed in bold strokes in the SHINOGI-JI. to his son KAGEKATSU. Then he moves with SHIBATA in ECHIGO. KANENORI BUN-ROKU Makes SEKI style from late MUROMACHI into the SHINTO. KANENORI smiths take  to travel. YUKIMITSU EI-TOKU (f: KANENORI): SHIROGO. HOMYO TOKUYU. Also: MAN-A. KANEMOTO BUN-SHO 1466 (f: YUKIMITSU, grf: KANENORI): TAROZAEMON. AKASAKA JU. Work from BUN-MEI 1469 through MEI-O 1492.
from EI-KYO to KA-KICHI. Father of KANEWAKA. Running Mokume Hada has JiNie and Ara-Jinie. Funagata Nakago with Higaki Yasuri and one gourde-shaped Mekugi-ana from multiple mounts. KANEWAKA EI-SHO 1504 (f: KANEMORI, grf: YUKIMITSU): JIROZAEMON-no-JO. and worked for time at INUYAMA Castle in OWARI. branch begins then. See SHINTO KAGA. JIROZAEMON's attributable work period is TEN-MON. Tight NIOI-GUCHI GUNOME-MIDARE BA undulates. FUSHI Knots. KANAZAWA, KAGA Province and therefore, his teacher. KANEWAKA(3) EI-ROKU 1558: SEKI smith in the style of the time. YUKIMITSU TEN-MON: SANAMI School smith. KUNISHIGE SHI-TOKU: SANAMIGORO. SANAMI. Lived in NAOE. KANEMORO BUN-AN: SEKI JU. GUNOME-MIDARE BA and NOTARE. WAZAMONO. KANETOMO HO-TOKU 1449 (f: KANEYUKI): Second son. SANAMI. GENSHICHI. and fine SUGATA. ITAME HADA runs with MASAME having clear JINIE. style of the NAOE SHIZU. KANETOMO TAI-EI 1521: SANAMI Group. Alternate MEI: SAN-I GOTARO SAKU. IHORI-MUNE O-KISSAKI of shallow curve. Running ITAME with MASAME has JINIE. Billowing patterns of O-GUNOME and TOGARI mix. JIZO BOSHI expected, with TOGARI head. KANETOMO TEN-MON 1532: SANAMI man. gained IZUMI-no-KAMI title. Made elongated KISSAKI, SENGOKU SUGATA. KAMETOMO EI-ROKU: SANAMI MAN. work from EI-ROKU 1558 into the TEN-SHO period. at the castle seat at KIYOSU in OWARI. SUE-SEKI style in strongly standing and running ITAME with MASAME. Tight NIOI-GUCHI GUNOME-MIDARE patterns. JIZO BOSHI. KANENAGA OEI (f: KANENORI): SEKI. SANAMI Group. Eldest son of KANENORI. ROKU-DAYU. Standing ITAME HADA is running with MASAME. There is SHIRAKE-UTSURI. KO-NIE DEKI GUNOME-MIDARE and NOTARE-MIDARE BA. temporary stays with the SANAMI. KANEKUNI(1st SANAMI) EI-KYO (f: KANENORI(1): KUNI form: KOKU. MATASHIRO. Buddhist name: HOMYO DOAMI. Work from late OEI to BUN-AN 1444. Signature note: His KUNI character is drawn out long. Made SUGUHA and GUNOME-MIDARE BA. KANEKUNI KO-SHO 1455: SANAMI Group. SEIJIRO. Work from KO-SHO to BUN-MEI 1469. 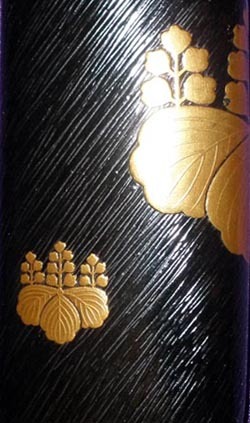 Gently undulating lines of KO-MIDARE of GUNOME-MIDARE BA has SUNAGASHI. exemplify the great work of SANAMI founder, KANENORI. KANEKUNI TEN-MON From MINO then HIRAMA, making swords at MIKIOKAWA-SO. KUNIYUKI TEN-MON 1532: Father is listed as MATASHIRO KANEKUNI, KUNI form: KOKU. However, the dates are strained. KANETAKA(1) TEN-MON 1532 (f: KANEKUNI(4): SANAMI KAJI in KANEKUNI style. KO-NIE DEKI SUGUHA and GUNOME-MIDARE BA. KANEKUNI KANE-SHO 1460: KUNI form: HO "Country". SEKI JU. KANEKUNI MEI-O 1492 (f: KANEKUNI, grf: KANENORI): KUNI form: HO "Country". SEKI. KANEKUNI EI-SHO 1504: KUNI form: HO "Country". SANAMI at SEKI JU. KUNIYUKI TEN-MON 1532 (f: KANEKUNI "HO" KUNI): SANAMI. KANETANI BUN-AN 1444 (f: KANENORI): SANAMI smith. OEI to CHO-ROKU 1457. MIDARE and GUNOME-MIDARE BA. 1st generation OEI KANEIYE is ZENJO man. See ZENJO. KANETSUNE KA-KICHI 1441 (f: KANEIYE, grf: KANENORI): FUKUZAEMON. SANAMI smith. YAMATO style, with elongated CHU-KISSAKI. 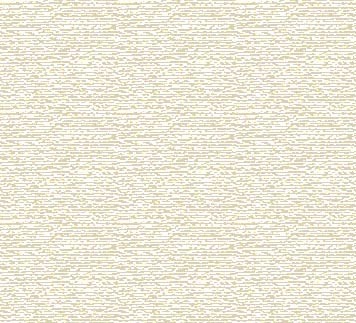 where we see ITAME KO-MOKUME mix with OEI mark: BO-UTSURI. GUNOME-CHOJI MIDARE BA, which are many. KANEMINE MEI-O 1492 (t: KANETSUNE): Chasing BIZEN style GUNOME-CHOJI BA. KANEOTO(1) BUN-MEI 1469: SEKI smith. ROKUZAEMON and UEMON. Buddhist name HOMYO DOKEI. OEI. Work stretches from KA-KICHI 1441 to MEI-O 1492. Made a sword with KANEMOTO. This has set several tongues to say they may have been the same man. Wide, SAKIZORI blades with raised SHINOGI-TAKA. ITAME runs with MASAME and strongly standing SHIRAKE-UTSURI is found. KO-NIE DEKI CHU-SUGUHA and KO-MIDARE BA. CHU-width YAKIBA. BOSHI is HAKIKAKE KOMARU and JIZO. KANECHIKA EI-ROKU (f: KANESUKE): SEKI JU. WAZAMONO. KANEOTO(2) TAI-EI 1521 (t: KANEKUNI): HIKOSHIRO. Buddhist name: HOMYO DOSO. Student of SANAMI KANEKUNI (KUNI = HO). SANAMI at SEKI.